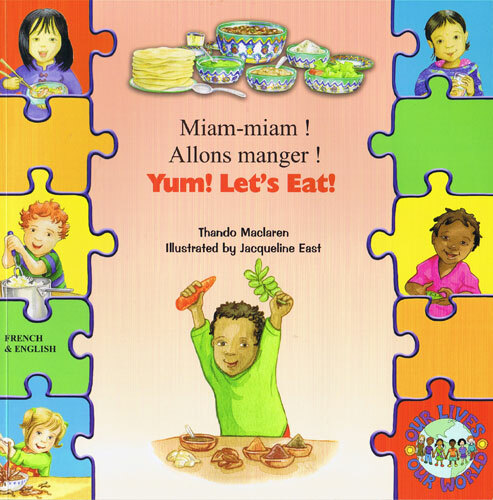 Meet children from around the world and explore their foods and eating traditions. 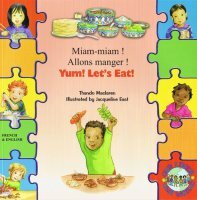 Discover mouth-watering dishes and join in with the characters.This is an ideal title for teaching children vocabulary and sentence structures relating to food and mealtimes and is all in the present tense. With simple text in both English and Russian, this book from the Our Lives, Our World Series explores the rich diversity of children's lives around the world. This book is a high-quality dual-language picture book, suitable both for children who are learning and reading Russian and English in parallel and those being introduced to Russian or English as a second language.